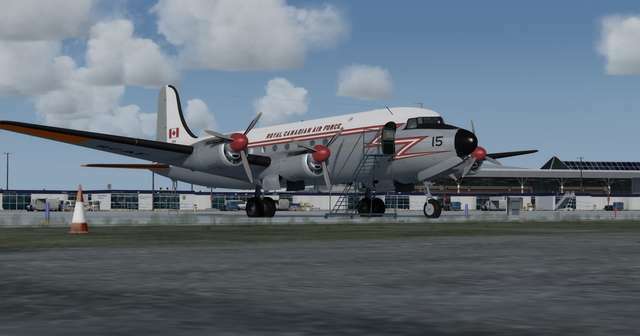 Discover the challenges of flying the Canadair North Star, one of the lesser-known yet successful airliners of the 1950s and 1960s, a Canadian-designed derivative of the Douglas DC-4, powered by four of the famous Merlin engines. 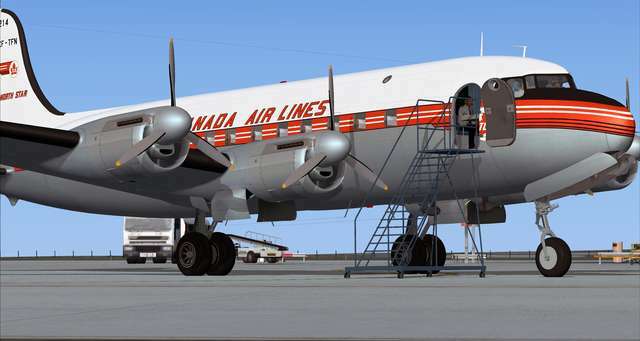 Towards the end of WWII, Trans-Canada Air Lines (TCA) and the Canadian government began looking for an airliner to meet Canada’s post-war air transportation needs. 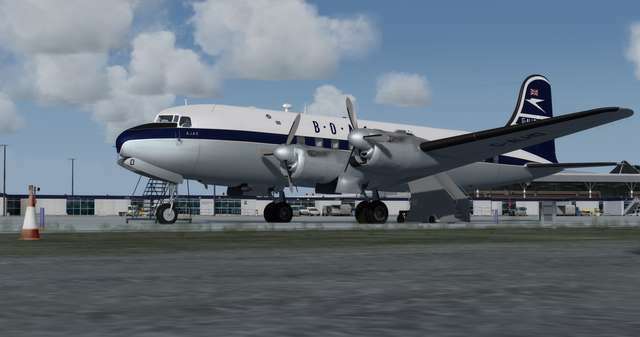 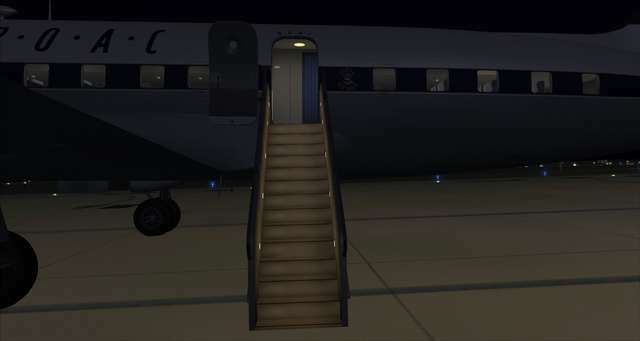 It was decided that the tried and tested Douglas DC-4 would fit the requirement and a licence was obtained from Douglas to build the aircraft. 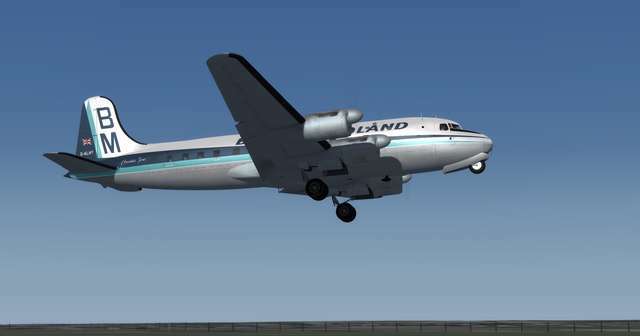 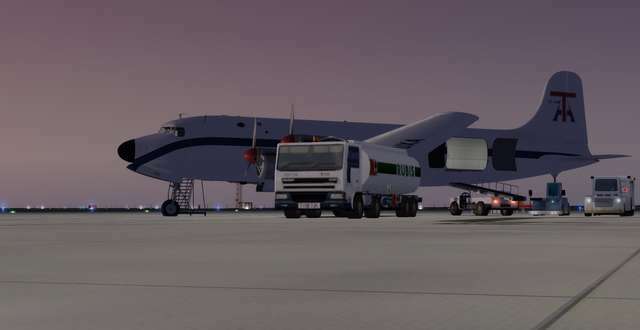 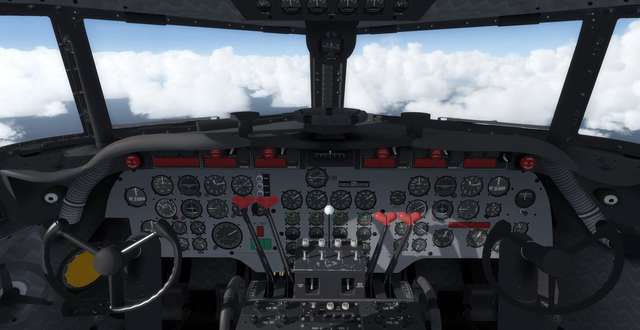 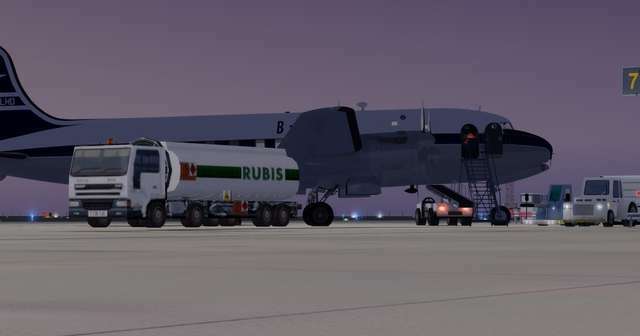 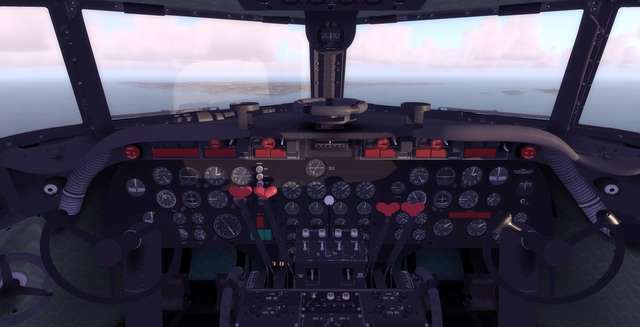 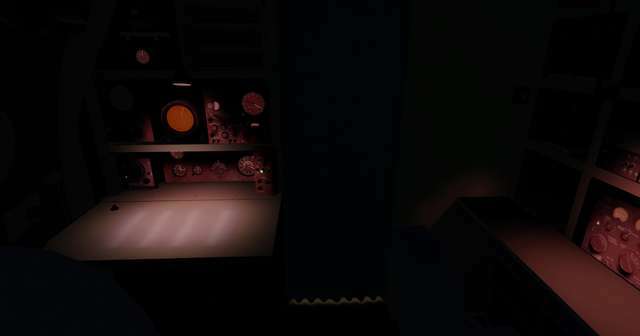 It was also decided to incorporate some components from the newer DC-6, just then becomming available. 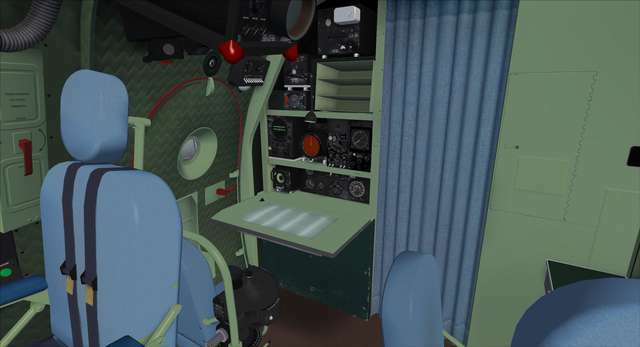 Under the licence terms TCA would be allowed to decide the power plants to be used on this hybrid aircraft, and after much deliberation the Rolls-Royce Merlin 620 was chosen. 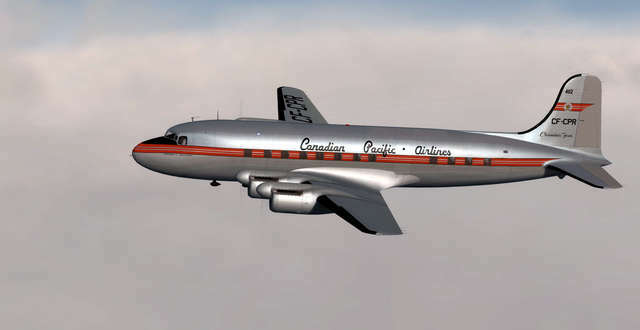 License requirements from Douglas, who did not want the North Star to compete with their new DC-6, stipulated that the North Star be sold only to Commonwealth countries. 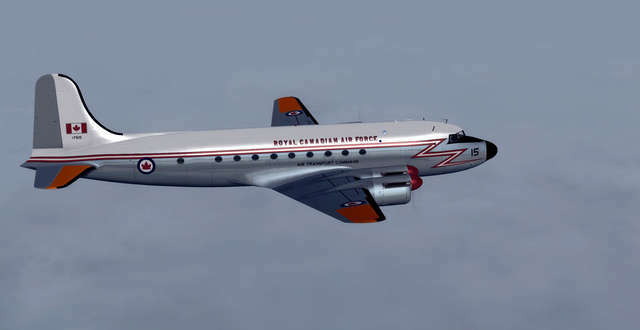 Design development began at Canadair in 1944, and the aircraft was designated the DC-4M (M for Merlin). 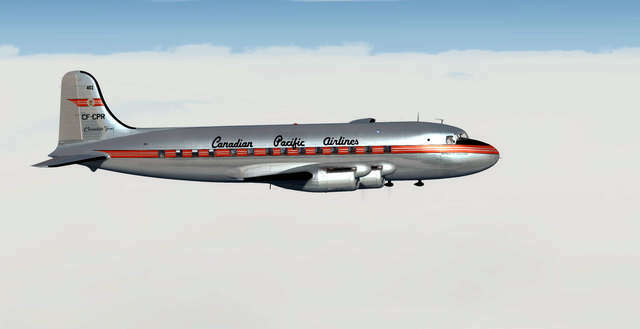 First flight was on July 15, 1946, in Montreal. 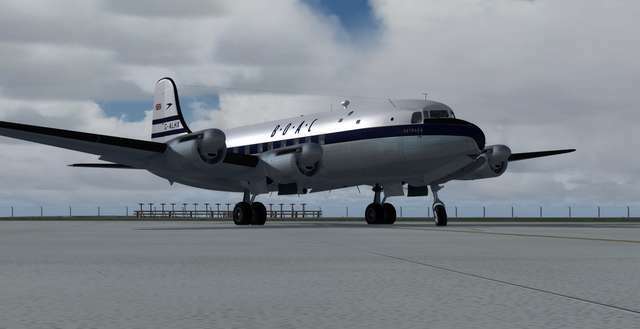 Fundamentally, the North Star had the Douglas DC-6 nose, landing gear and fuselage (shortened by 80 inches), DC-4 empennage, rear fuselage, flaps and wing tips, C-54 middle fuselage sections, wing centre- and outer-wing panels, cabin pressurisation (where used), a standardized cockpit layout and a different electrical system. 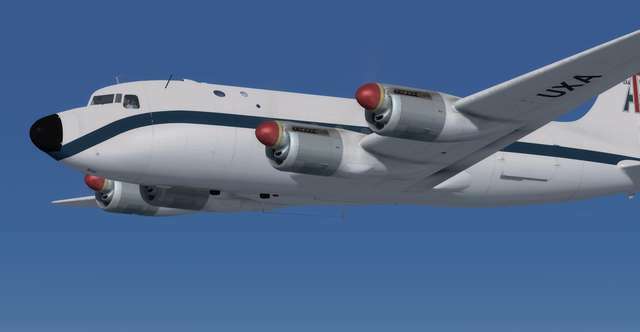 71 North Stars were built, in three basic variations. 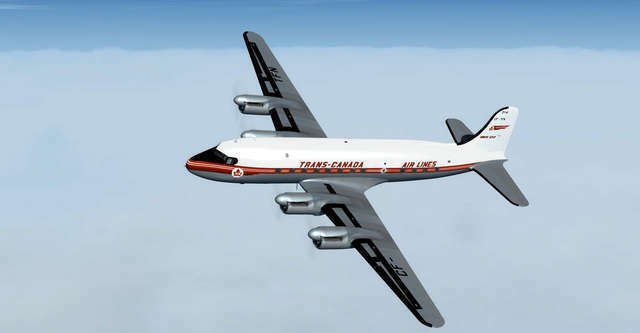 Trans-Canada Airlines flew the DC-4M2, in several layouts and with different engine (Merlin 622, 722 and 724) and prop combinations. 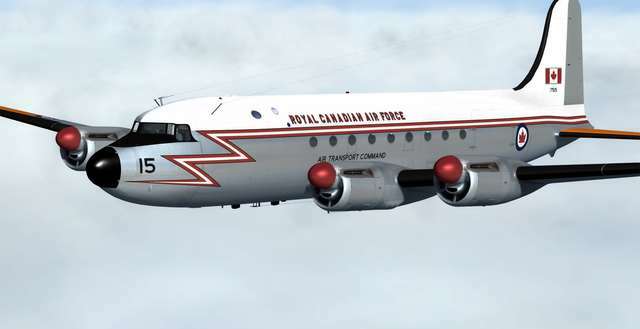 The Royal Canadian Air Force (RCAF) used the C-54GM variant which retained the C-54 fuselage and cargo doors, and later fitted with radar. 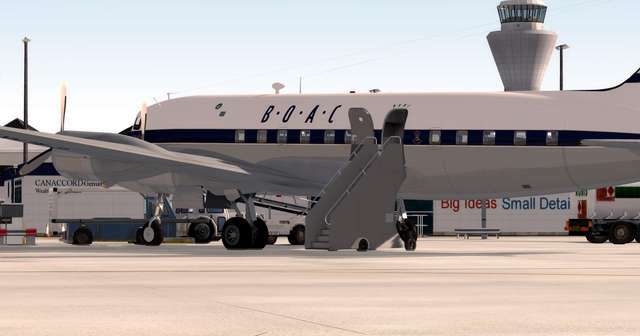 BOAC, using their C-4 type specifications, ordered 22 aircraft, which they renamed the Argonaut, and which flew with the airline in locations around the world from 1949 to 1960. 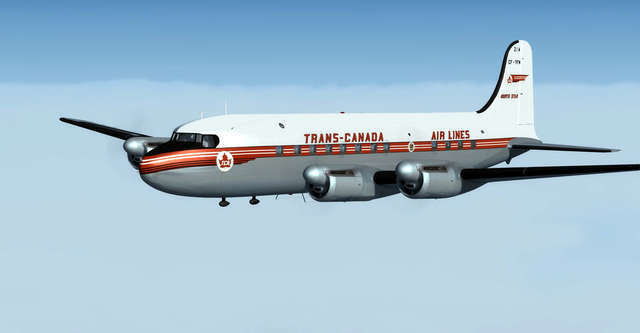 Trans-Canada Air Lines used the North Star until 1961, and the RCAF kept theirs until 1965. 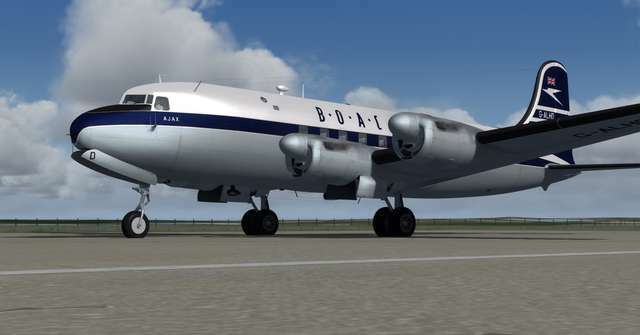 One side-effect of using Merlins was that both TCA and BOAC received passenger complaints about engine noise, and as a result both companies developed 'crossover' exhaust systems to have the exhaust pipes exit on the side of the engine away from the passengers, which reduced noise to only 93-102 decibels. 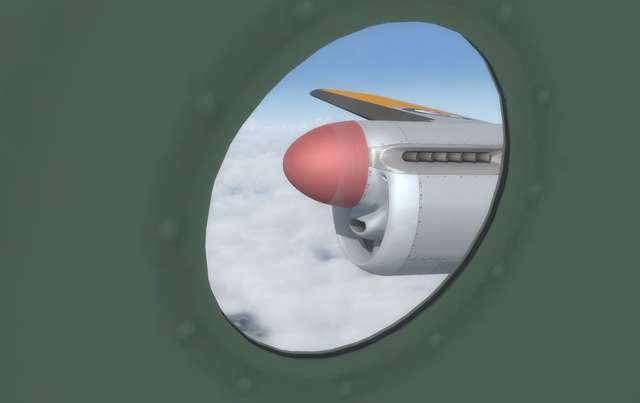 Still loud, if you consider that the level at which sustained exposure may result in hearing loss is 90-95 decibels! 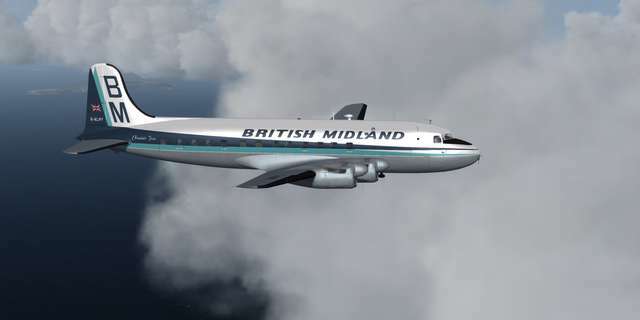 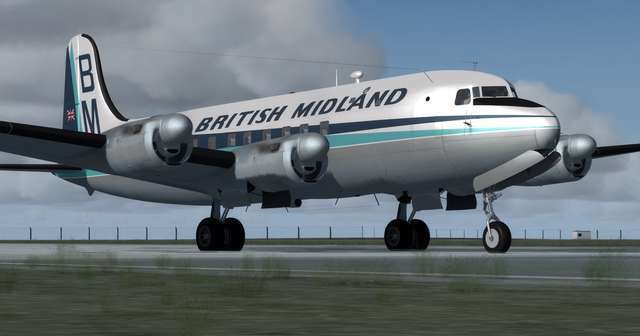 In later service, the fast and reliable North Stars were used by other airlines, such as British Midland and Overseas Airways, and several other smaller private and military operators for passenger and cargo services. 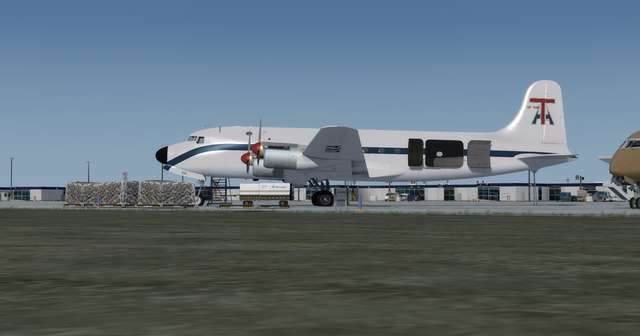 Final flights of the type overall were by private cargo companies in the early 1970s. 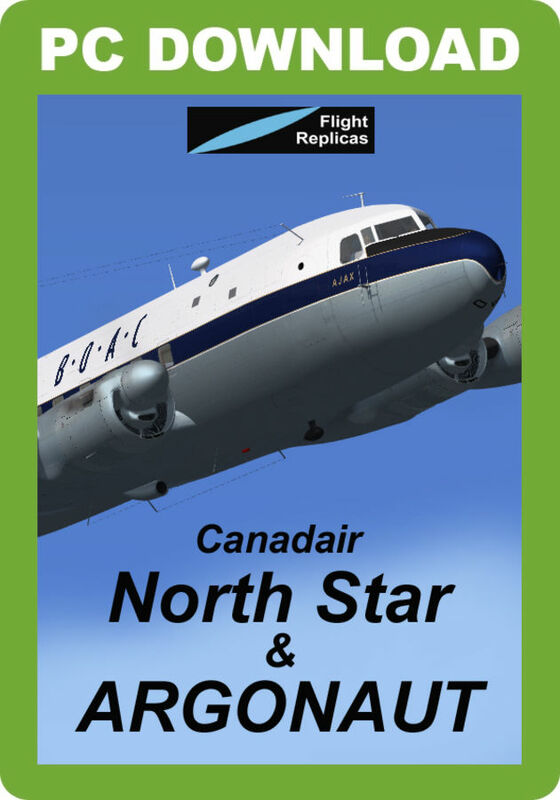 Only one complete North Star still exists, an RCAF C-54GM, residing at the Canada Aviation Museum in Ottawa, Canada. 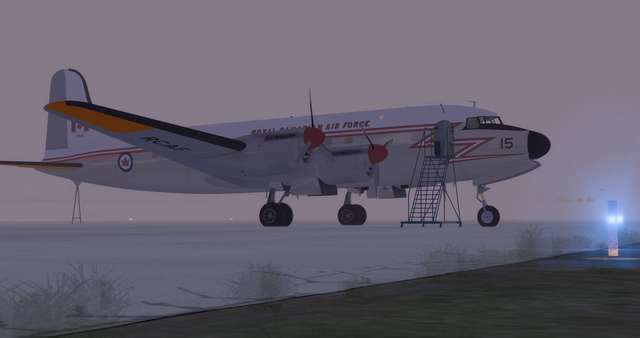 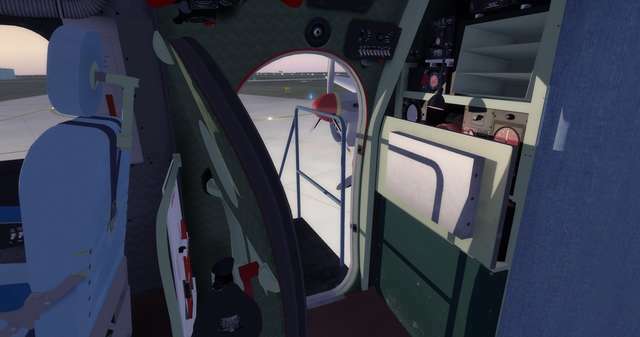 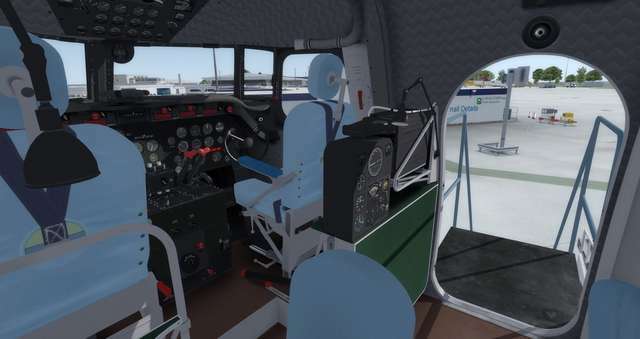 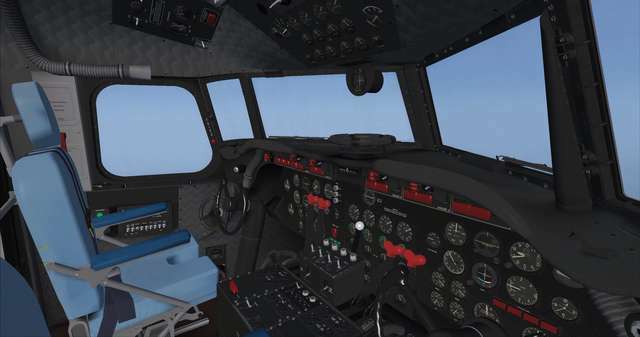 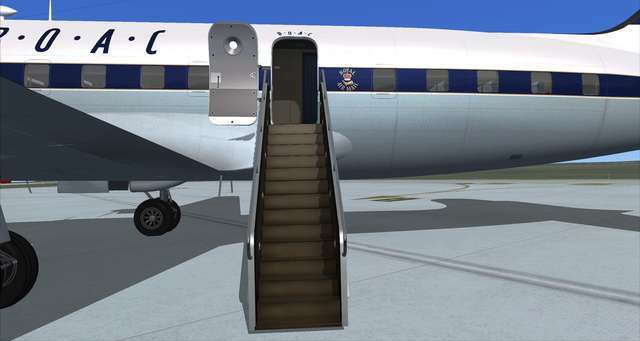 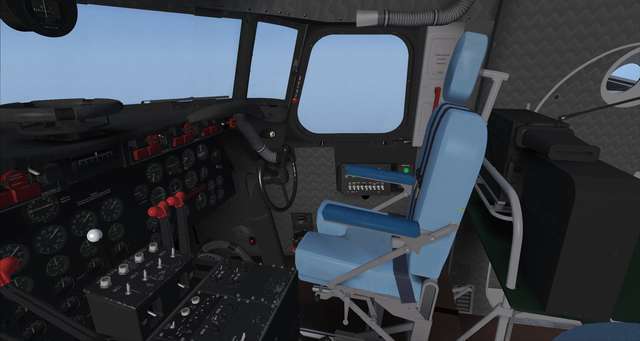 This Canadian-designed DC-4/DC-6 hybrid classic airliner comes with two different fully clickable VCs, with different civilian and military navigator positions, animated pilots, a variety of paint schemes and removable stairs. 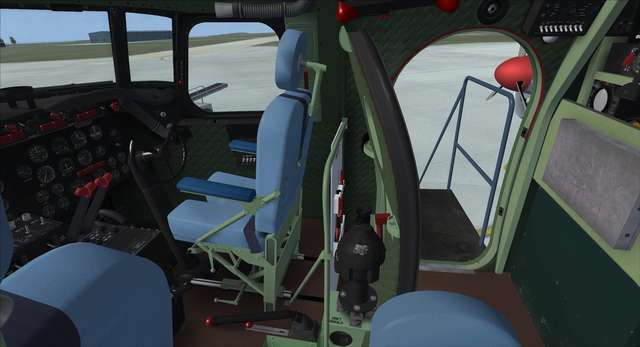 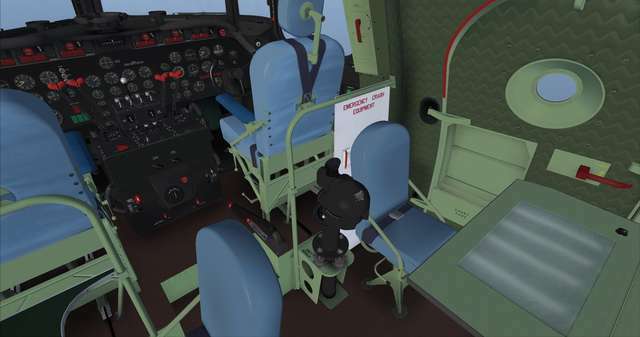 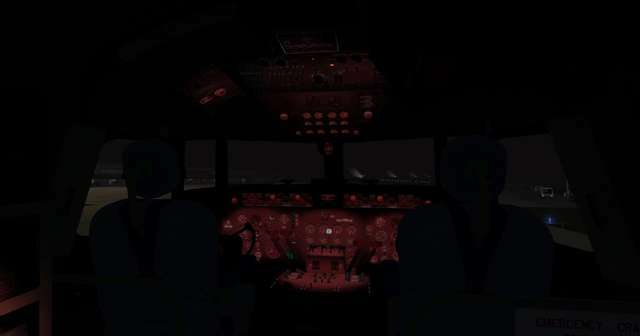 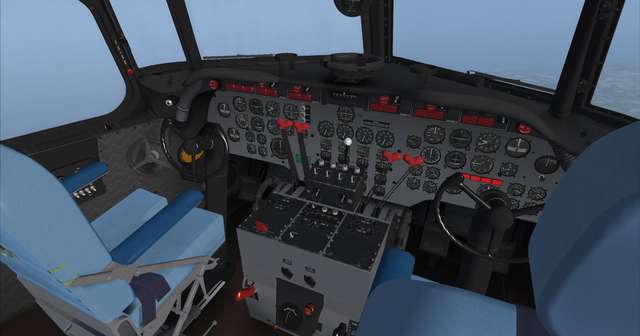 Cockpit equipment includes dual NAVCOM and ADF radios, transponder and 2D GPS; third party radar gauges can be installed and a full flight operations manual is included.